We’d love your help. 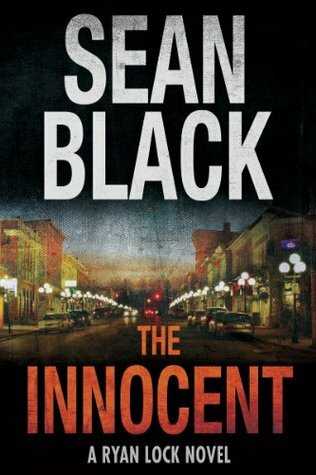 Let us know what’s wrong with this preview of The Innocent by Sean Black. The fifth novel in the Ryan Lock series of thrillers by Sean Black. Chasing the truth, Ty, along with his busines The fifth novel in the Ryan Lock series of thrillers by Sean Black. This the 3rd Ryan Lock novel I have read and all are 5 stars IMHO! Looking forward to read the rest of series. Best to start at first book in series. Every so often I finish a book and am left wishing that I was better with words, and better at writing how good a book is. Because a book like this deserves a review that does it justice, so I can only try! I first discovered Sean Black about two years ago when I read the first book in this Ryan Lock series, Lockdown. I read that book in 24 hours and absolutely loved it. Sean writes the sorts of books that once you start them you cannot put them down. In fact Sean is the reason you are reading th Every so often I finish a book and am left wishing that I was better with words, and better at writing how good a book is. Because a book like this deserves a review that does it justice, so I can only try! I first discovered Sean Black about two years ago when I read the first book in this Ryan Lock series, Lockdown. I read that book in 24 hours and absolutely loved it. Sean writes the sorts of books that once you start them you cannot put them down. In fact Sean is the reason you are reading this review. About a year ago I got an email from Goodreads, 'Sean Black added you as a friend'. I thought 'Yeah, okay...' but it was indeed Sean thanking me for a review of his fantastic book, The Devil's Bounty. It was a great feeling that an author had read and enjoyed one of my reviews and it spurred me on to keep writing them and hopefully sharing them with authors, and so a few months down the line my blog was born. Anyway back to this book and I read this book, The Innocent in just two sittings. The action just does not let up from the word go, all the cliches of a thriller book apply here: unputdownable, heart-stopping, edge of your seat. Especially towards the end of the book, I could not read quick enough trying to find out how the book was going to end. A few weeks ago I didn't even know this book existed! I read about it on Twitter and luckily enough Sean kindly sent me a copy. He did however tell me it was different from the other Lock books, I was a bit apprehensive but after just a few chapters I was hooked. The actual opening of the book, and probably the first 35% focuses on Malik. Malik receives a text alerting him to a problem at the college stadium where he is a coach. When he arrives at the college campus he discovers a young boy naked in the showers. A car parked outside takes off, however Malik managed to take a picture on his way in. When speaking with the campus police Malik is told a complete pack of lies regarding the naked boy, evidence from his phone is destroyed and he is offered bribes to keep quiet about what he saw. As the book progresses we see just how far these people will go to keep Malik quiet and I won't ruin it like some other reviewers by telling you what happens! A story that loosely parallels the Penn State / Jerry Sandusky scandal, set in a small D3 college in MN with a former NBA player as the coach who finds a young boy alone in the shower after he receives a cryptic text late one night. When he starts asking questions, he's steered away from the obvious conclusion but he can't leave it alone. Things get violent and complicated. Malik Shaw and Tyrone Johnson were childhood friends from the Long Beach ghetto. Both grew into successful lives, Malik, after a brief career as a pro basketball player, as a coach in a small college in Minnesota and Ty as a partner in a firm that offers protection to the wealthy and celebrated. Malik, one night, discovers a young boy who had been obviously abused in the locker room and, after reporting it to the campus police and Chancellor begins to investigate the situation. This leads to the Malik Shaw and Tyrone Johnson were childhood friends from the Long Beach ghetto. Both grew into successful lives, Malik, after a brief career as a pro basketball player, as a coach in a small college in Minnesota and Ty as a partner in a firm that offers protection to the wealthy and celebrated. Malik, one night, discovers a young boy who had been obviously abused in the locker room and, after reporting it to the campus police and Chancellor begins to investigate the situation. This leads to the execution of his wife and children. Ty is called in and brings his partner, Ryan Lock. So far this book is creeping me out. Up to 2/3 into the book, and sense from previous Sean Black books there is alot more in store. As expected....book ended with a catch your breath drama. Thanks to NetGalley & All Night Books for the ARC. I happy to see that there was a 5th Ryan Lock book & it didn't disappoint. Sean Black's writing had me totally gripped from the outset & kept me hooked until the very end. Propulsive plot. Believable characters. Better-than-average writing. Kept my interest throughout, and left me wanting more of these guys. My only quibble was that the switching between British and U.S. usage nearly gave me whiplash. The novel is set in Minnesota, but the punctuation conventions (single quotation marks around dialogue; no period after the abbreviation "Mr") suggest a U.K. publisher. Fair enough. But although U.S. spelling and usage (for example, "check" instead of "cheque") has been followed in some spots, many passages contain obvious Britishisms ("torch" rather than "flashlight" represents just one example). Sometimes the usage is mixed: "parking lot" (US) and "car park" (UK) appear within the same paragraph. I found this somewhat distracting. Made me wonder whether author Sean Black is, like Lee Child (to whose Jack Teacher series Blacks Ryan Lock books have been compared), a British man who writes about U.S. characters and settings. Or is he an American whose British publisher did an inadequate (and wholly unnecessary) job of "translating" the novel into British English for publication outside the U.S.
Whatever the case, the mish-mash took me out of the story, and caused me to dock a star from this review. Many--maybe even most--readers probably either won't notice or won't be bothered by such inconsistencies, though. Excellent plot, economic and powerful use of language to convey the depths of depravity and destruction by evil and powerful individuals on the vulnerable and innocent. Riveting to the end. Well worth burning the Midnight Oil for. Excellent reading. Economic and powerful use of language and plot to convey the depths of depravity and destruction by evil and powerful individuals perpetrated against the vulnerable and innocent. Well worth burning the Midnight Oil for. Housework can wait. This was my first encounter with Sean Black and the Ryan Lock series. This book has three principal characters, so the action and POV moves around. It's a very good book, understated in view of the violence and subject matter. But it's hard-boiled in the best way. There's a character and plot point that seems contrived but it doesn't take away from the novel's impact and effectiveness.The strength of the bond between the characters is clear and authentic. Although a relative newcomer to Sean Black's work and this series of books I have to say that I am really enjoying those that I have read. This particular title (#5 in the series) has for me been, without a shadow of a doubt, the best so far. The subject matter is dealt with well and is sensitively handled. It is some time since the closing chapters of any book have kept me so engrossed and eager to reach the climax. No problems recommending this to others. 3,49 stars, I really did enjoy big parts of this book, it's quality pulp action, and it's entertaining and a breezy read. It has some issues with pacing though, the intro is a bit too long, and it gets really over the top towards the end. That being said, I really did enjoy the book, and I was positively surprised over how well some quite heavy themes were tackled. A quality entertaining book that really is worth your time if you want a thriller. Good story from beginning to end! A small midwestern basketball coach gets a late nigh text message that begins this tale. The story that follows is quite believable and timely. This Sean Black book must be recognized for what it is; a call to action against predators of children. This book deals with pedophilia. This grossly horrific deed stacks right up there with the worst imaginable. My heart went out to Malik. The old adage 'truth is stranger than fiction' is quite frightening when put up against this book. If truth can be worse than this what kind of a world do we live in. On that terrible not I have to say I love Ty Johnson and Ryan Lock. I found this novel's subject matter unusual. The one plot is of the acts of a pedophilia, college environment, a basketball coach ( no, not a football coach), a college chancellor. You should be able to determine what transpires and why. The author's story is ,also,one of revenge. Therefore, you have 2 plots. I recommend it. Sad story about the way child sexual abuse claims so many victims, with too many people not looking hard enough at what they see, and others aiding and abetting by doing nothing. I liked the characters of Ryan and Lock and will most likely read more in the series. There were a few proofreading problems, but nothing major. A well written story considering the actual events that have occurred in the last few years. The characters were so real. Each character was brought to life so that you were drawn into the story and the pages fly by even faster. I will definitely read more by this author. I'm thinking Minnesota gets a bad rap in this book, with most of the cops seemingly not very innocent, and many others looking the other way so as not to be involved. The author pointed out that so many people will do the letter of the law, but nothing else, as done by the head of the college people in this book. I will read more in the Ryan Lock series and other books by Sean Black. Spent ages for my library to get this as I was desperate to read it only to find out I'd brought it months ago on my Kindle and it did not disappoint. Love the characters and what they stand for can't wait to read the next in the series. I enjoyed this story. It has plenty of twist but written well so you won't get lost. The author has a way of putting you in the role of the main character so that you feel his outrage and sorrow. I would give the book between a three and four. The first couple chapters were rather slow but it picked up and held my interest throughout. Really liked the characters especially Ty. A very intense book from practically page one. It took some time for Ty and Lock to enter the scene but, when they do, it is non-stop until the last page. Read it in one sitting and I recommend it highly. I don't usually read American crime stories as they are generally poor, I must have downloaded this in error. I found it quite readable although the last 3 or 4 chapters were boring and predictable. I liked this book but it kind of dragged on longer than necessary. It's the first one I read of this series so I might go back and start with book one. Reading a book in 3 days, surely tells you all you need to know about my thoughts on it! One of the best books written on how far someone will go to hide pedophilia. The bond between two young boys never broken as they become men having each others back. This story a good read,and the action keeps going on from start to finish. The story touches some things most people don't know about. All is handled well. I could not put it down. It is one of the best books I have read in a while. I would recommend this book. Sssuspense! Action! Human ity! Twists! Turns! Scarey! Got a feel for how our fellow man feels in his skin. Darn good book! I write the Ryan Lock series of thrillers, which feature ex-military bodyguard Ryan Lock and his partner, former Marine, Ty Johnson. The first two books in the series, Lockdown and Deadlock, hit the Official UK Top 50 Bestseller Chart, and the third, Gridlock, has just been released in hardback. They have have also been translated into Dutch, German, and Russian. I'm a firm believer in hands-on res I write the Ryan Lock series of thrillers, which feature ex-military bodyguard Ryan Lock and his partner, former Marine, Ty Johnson. The first two books in the series, Lockdown and Deadlock, hit the Official UK Top 50 Bestseller Chart, and the third, Gridlock, has just been released in hardback. They have have also been translated into Dutch, German, and Russian. I'm a firm believer in hands-on research, also known as 'any excuse to get out of the house', so before I wrote Lockdown, I trained for a month with former members of the Royal Military Police's specialist close protection unit. That turned out to be great preparation for Deadlock, which I researched by spending time inside Pelican Bay Supermax in California (see the TV interview on my author page). I recently completed a desert survival course in Arizona and ventured into the tunnels under Las Vegas, all as preparation for a new standalone thriller I will begin work on once I have completed the fourth Ryan Lock book.